The professionals of Hardman Signs have learned your signage specifications, determined optimal signage placement and completed the permit procurement process - now comes the fun part. Our team of sign fabrication and sign engineering experts will go to work creating the signage that you've imagined. Our professional sign fabrication staff offers the second-to-none construction and craftsmanship that's sure to guarantee the durability and stylishness of your signage for years to come. Hardman Signs employs some of the best-trained and most dedicated personnel in the industry. Working from our expansive facility, each sign builder will fabricate a sign that takes your exact specifications into account. Our use of top equipment guarantees precise, durable construction and has made our company a top name in Houston sign fabrication, Austin sign fabrication and Atlanta sign fabrication. 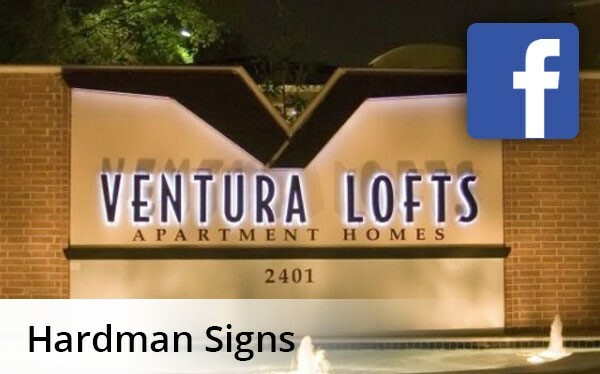 With decades of experience and use of the latest and best equipment in the industry, Hardman Signs are the sign fabrication and sign engineering experts that you need to make your company's name. Ready to work with the Southwest's sign fabrication experts? Contact Hardman Signs today. Fill out our no-obligation quote form to receive your FREE estimate or call us with your requirements.